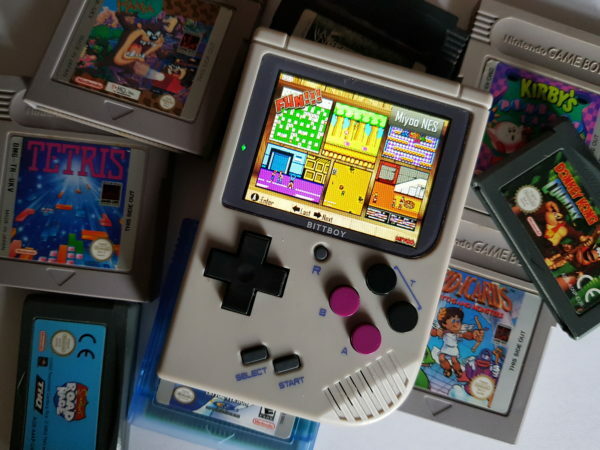 Back in March 2018 I was given the chance to review the latest handheld retrogaming wonder to hit the scene, dubbed the BittBoy. Wearing on its sleeve much love for the Nintendo GameBoy, this mini-player was packed to the rafters with 300 games and whilst it impressed with a fair chunk of these titles it wasn’t without its issues. Now a year later the people at BittBoy have returned and it seems they may have been listening to the desires of us, the retrogamers of the world. Two of the biggest problems on last years release came in the form of (rather bizarrely) the 300 games and the surplus faux micro SD Card slot. The games problem lay in the fact just under half of these added titles where technically the chaff from the wheat and though you could play the excellent Excitebike, sat below you would see another dire Mario Bros ROM hack, or an odd Pokemon platformer, or another unplayable game with no instructions to follow. Without the facility to ‘Favourite’ your wanted titles, you were left scrolling through scores of nonsense to find a known game each time you wanted to play. The surplus faux micro SD Card slot now seems like a bit of forward planning, implemented perhaps a bit to early. Here the makers of Bittboy had built into the case space for a micro SD card, though if you ever inserted a card into it, the tiny storage solution would be lost forever. As this micro hole was purely decoration. 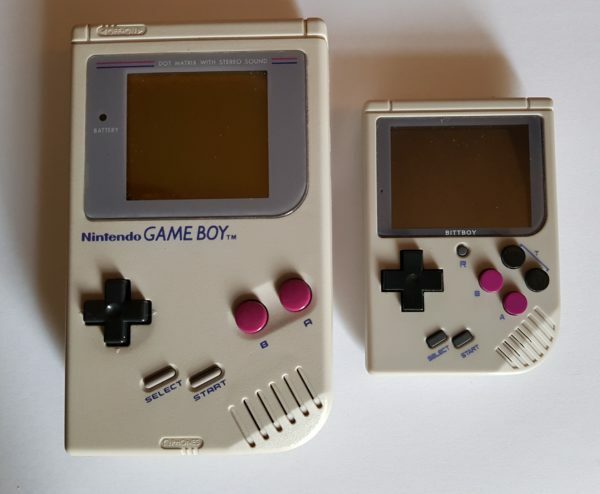 Now here we are with our latest 2019 iteration of the Bittboy and as you lift it from the box and you’re greeted with GameBoy grey you’re already feeling good things about this latest release. As before this Bittboy is completely rechargable, arriving with its 700mAh ‘Nokia-style’ lithium battery, the box promising up to 3 hours straight playtime. This time however not only is the screen bigger (2.4” IPS Screen) but the device comes with no games built in whatsoever. Instead all that sits upon the unit is the Miyoo Pocket Emulator for the NES, GameBoy Color and the GameBoy. It’s up to you to populate this machine with the wheat – not the chaff – this time. Adding games is extremely easy. Inserting a freshly formatted Micro SD card into your PC, you drag across your Backed Up games onto the card and then just push it into the Bittboy. The handheld device will allocate the appropriate files to the correct emulators and you’re away. It really is that easy. No folders to create, no hoops to jump through, just drag-n-drop. Once you’re up and running everything is controlled from on screen commands which includes volume, brightness, display (TV or Unit), mode (original layout or fit to screen) and save. The ‘Save’ is a fantastic addition, though most of us will remember never having the luxury of a save state mid Contra, but now we can. Everything here is so well thought out, that you can’t help to be impressed with what this latest Bittboy is delivering. Though don’t get me wrong it isn’t completely without it’s faults, as no emulation ever is. For 98% of the time you’ll love what the Bittboy delivers to you, but there’s always the 2% and when it strikes you’ll wonder why it’s happening. One key moment for myself was mid Super Mario Land for the GameBoy – the first game I actually bought myself on the GameBoy way back when. Here, on the Bittboy, everything was going along swimmingly then mid-jump I actually experienced slowdown as the unit seemed to not be able to cope with the minor power of tiny Mario running across Easter Island. Barely anything was happening, yet oddly earlier on Contra, when the entire world wanted me dead, I experienced no slowdown whatsoever. However, I can easily overlook the above issue, due to the amount of actual fun I’m actual having with it right now. It’s been with me on the bus, out on a drive and on the train so far. I’m mid Link’s Awakening and still wonder how people can complete Super Mario on the NES so quickly, when I’m barely passing level one with all lives intact. 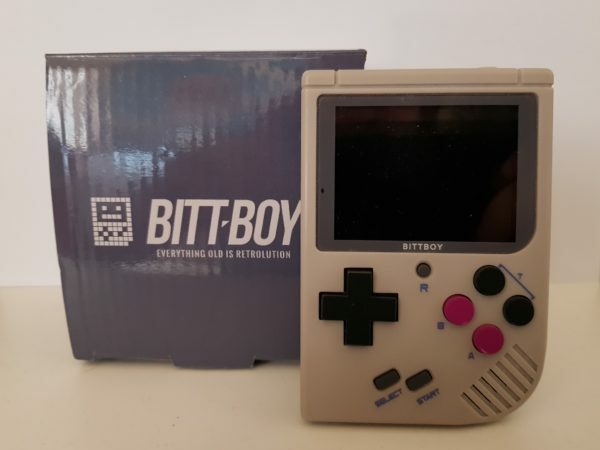 The 2019 Bittboy needs to be in your pocket. It’s a little machine that keeps your Nintendo collection with you everywhere you go. Why wouldn’t you want this!? The New Bittboy was provided for review purposes. For more information on the Bittboy visit their website here.